MICHIGAN CITY — The seeds leading to the hoisting of a sectional championship trophy for the first time in Michigan City High School football program history were planted in 2012 more than 1,100 miles away. That’s when a large group of the current roster were playing for the Michigan City Pop Warner Junior Pee-wees team that finished second in the nation at the Pop Warner Little Scholars Championships at the Wide World of Sports Complex inside Walt Disney World in Florida. Among the members of that squad were three players who scored touchdowns in Friday’s 38-10 trouncing of La Porte at Ames Field. Senior quarterback Michael McCullough Jr., had two rushing TDs and more than 100 yards on the ground. He also had a late TD pass to Bryce Haman to seal the victory. Haman was on that Pop Warner squad. So was wide receiver Tyler Siegmund and Kameron Muhammad. And they succeeded together back then, and made a sort of pact to do bring a sectional title at City. Muhammad started the season as a hybrid wideout, topping 100 yards receiving in a game earlier this season. But he has become the Wolves’ version of Chicago Bears minute running back Tarik Cohen, who, like Muhammad, is listed at 5-foot-6 on his team’s roster. You know who else had a huge smile on the sideline as the clock wound down in the final minute? City graduate Aryuan Cain-Veasey, who earned last year’s News-Dispatch Offensive Player of the Year honor before heading to Grand Valley State in Michigan. 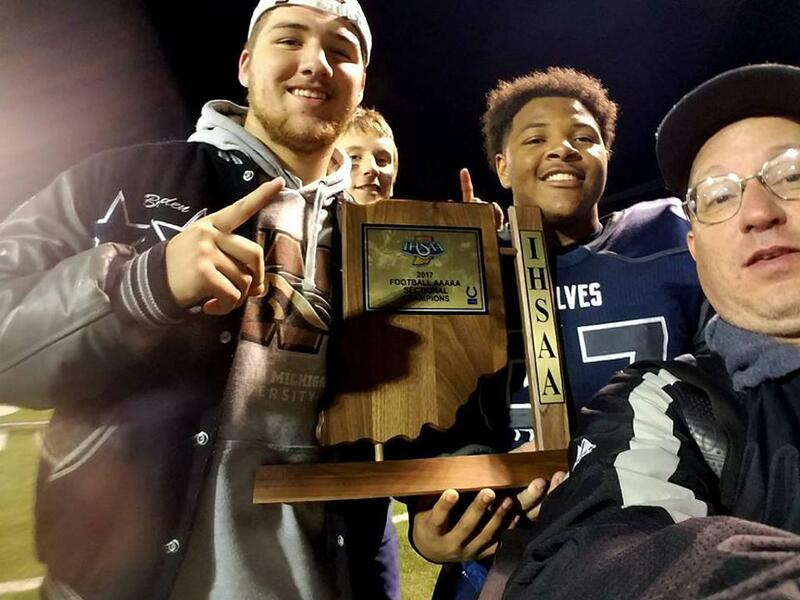 Sure, he would have preferred to have been hoisting that sectional trophy with a Wolves’ jersey on, but the running back who also played for MC Pop Warner couldn’t help but celebrate history. “As long as Michigan City gets a sectional title, I’m good, I’m happy,” he said. Head coach Phil Mason was also happy, but more for the kids and what they did to achieve something that had never been done. “Winning a sectional championship this quickly is a testament to how hard these kids have worked the last two years,” the second-year coach said. But this isn’t the end. Next up for City is the regional at Concord, which improved to 10-1 with a 28-12 victory at Goshen on Friday night. Reach sports editor Steve T. Gorches at sgorches@thenewsdispatch.com or (219) 214-4206. Follow him on Twitter @SteveTGorches. MICHIGAN CITY — There's an argument to what can be described as the most important detail of a sports team having success. When you put together a formula of what really makes a good team function properly, one of the most important components is chemistry. Chemistry on a football field is much different than the chemistry that defined whether or not many people's grade point averages would take a hit in a certain semester during their days in school. For Michigan City's football team, chemistry runs much deeper than a few classes together and a few intense practices at Ames Field in recent seasons. Back in 2010, the Michigan City Pop Warner junior pee-wee squad won the national championship at Disney's Wide World of Sports Complex in Florida. Two years later, a team of fresh faces finished second at the same level as their predecessors. 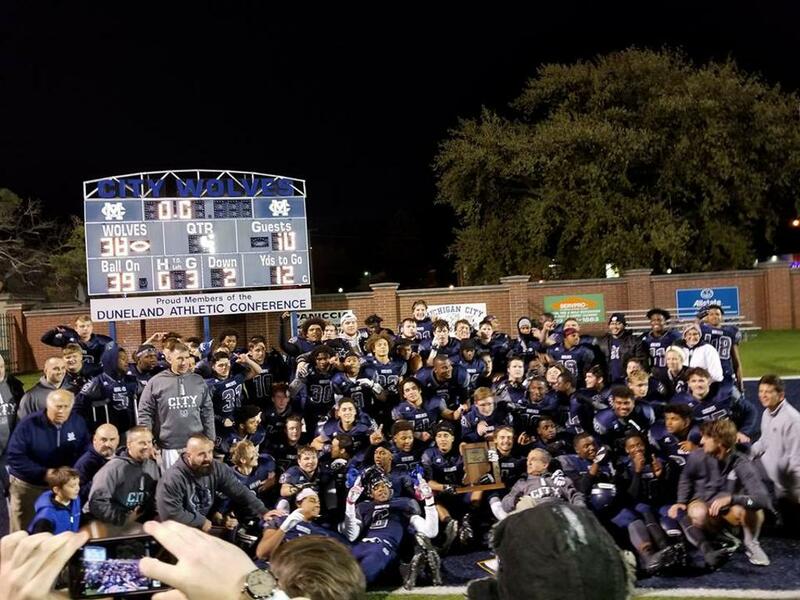 Seven years later, eight players from those teams helped the Wolves win the first sectional championship in the school's 22-year history and the first for a Michigan City school since Elston's title in 1984. Kameron Muhammad, Mason Kaletha, Keyshawn McGill, Bryce Hayman, Tyler Siegmund, Zakary Nowatzke, Braden Fiske and Antonio Conley all played on either the 2010 or 2012 teams. "I think it shows how we were raised and how we developed through Pop Warner," Fiske said during practice on Monday. "The culture that we built then and transferred it to now ... I think it's great to see that because now, we've set the tone for the teams next year and the following years to come, so I think that's huge." Fiske, who was one of two members on the 2010 championship team (Keyshawn McGill being the other), attempted to play through a herniated disk in his back this season for the Wolves, but has been sidelined through much of the campaign and the current postseason. Still, being on the sidelines has helped Fiske see the inner workings of where the Wolves are today. "There's so many guys that we played with in Pop Warner," Fiske said. "We've been friends through elementary school, middle school, high school. We hang out every weekend, playing video games. We're always together. I think it helps because we can build a relationship off the field and on the field, we can trust each other so much better." 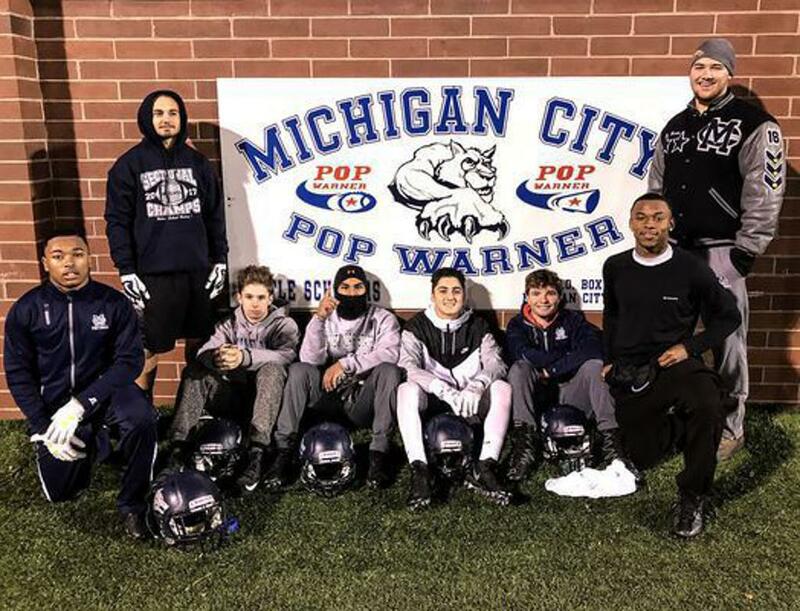 Fiske's hope is that more kids will not only play Pop Warner, but continue to build on the legacy that the current Wolves are leaving in the midst of one of the best seasons any Michigan City football program has ever had. In the five previous seasons before current head coach Phil Mason arrived to coach the Wolves, the Wolves won 11 total games. They've won 15 total games in the last two seasons alone. "Last weekend after we won sectionals, we had 25-30 players over at the same house," Fiske said. "That's just how we are. We're always together."